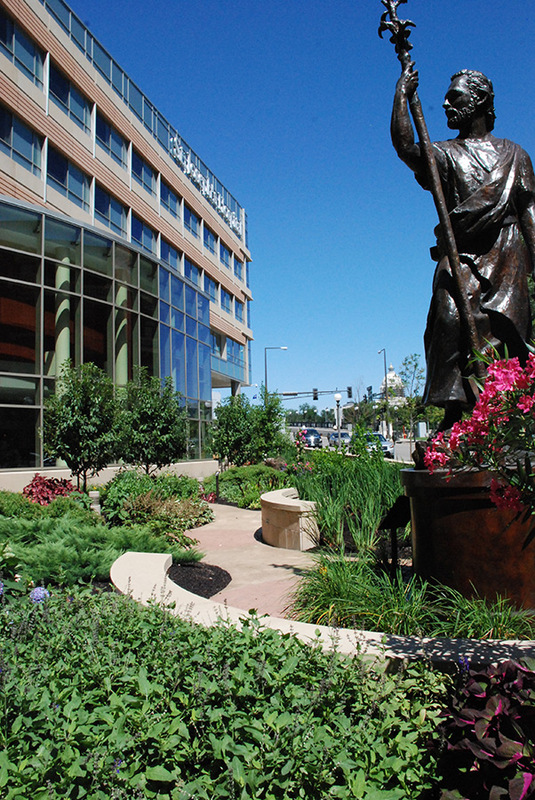 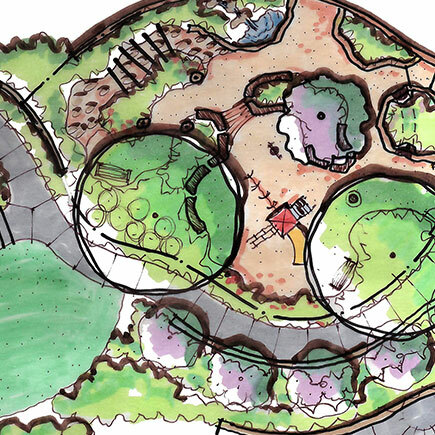 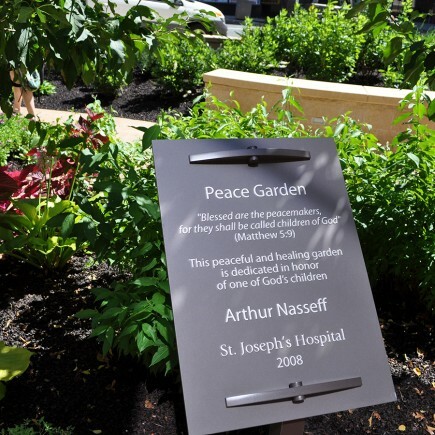 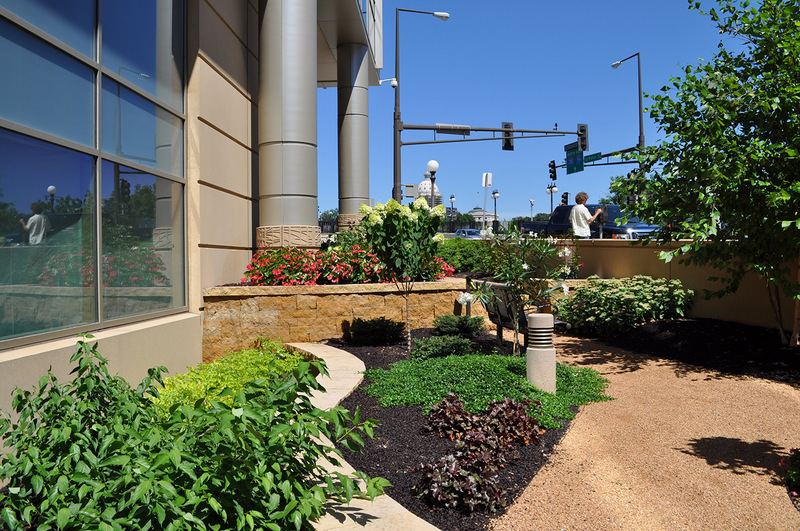 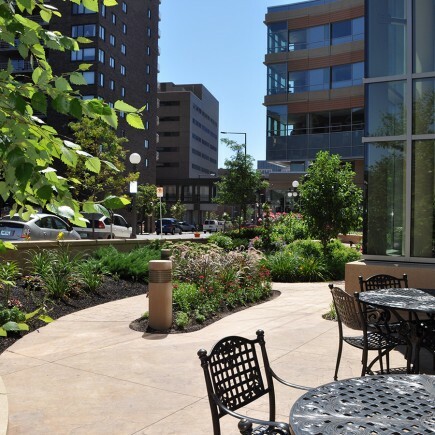 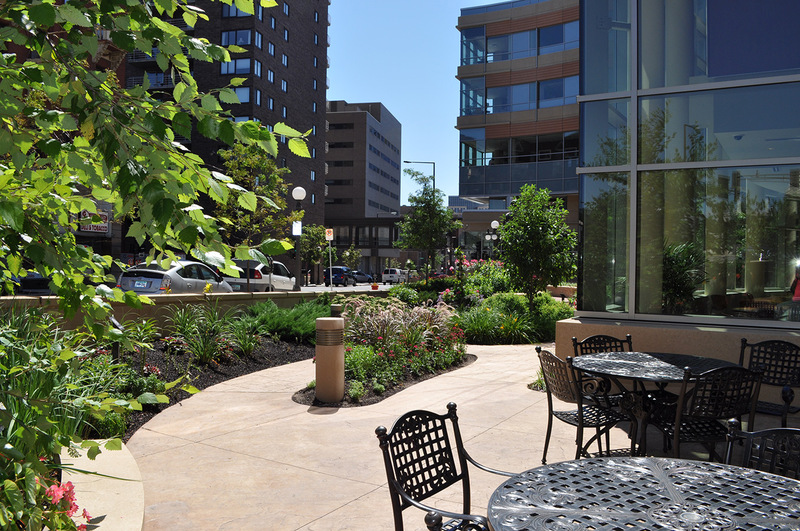 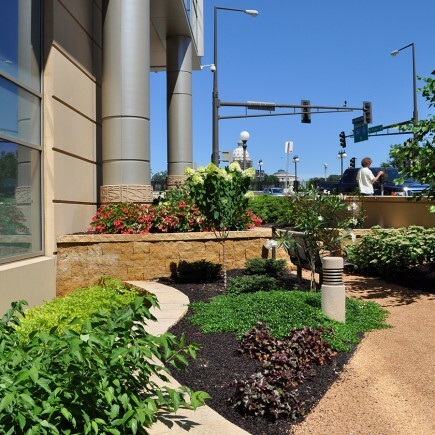 St. Joseph's Hospital Healing Garden | MN Landscape Architecture | Loucks Inc. 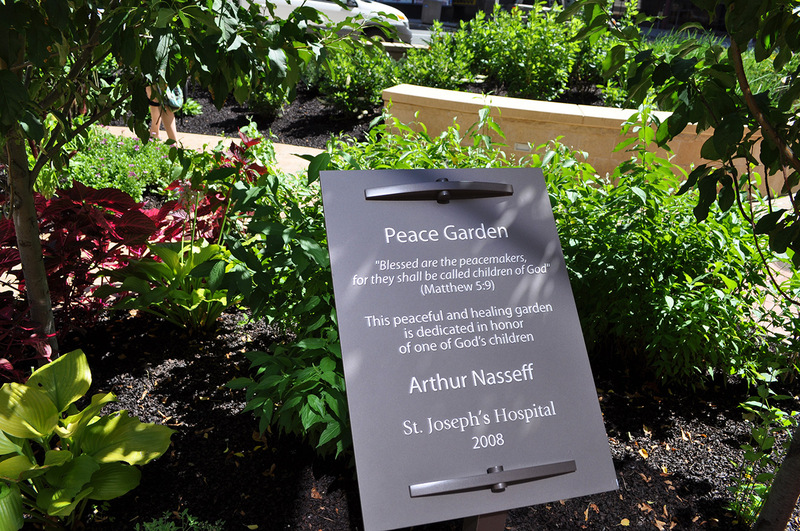 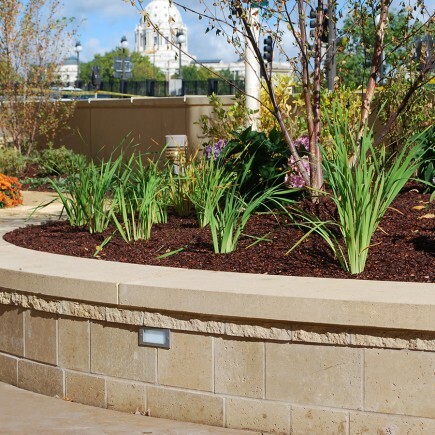 Located in the heart of downtown Saint Paul, the St. Joseph’s Hospital Healing Garden is a highly visible urban oasis constructed in conjunction with a major hospital renovation and expansion project. 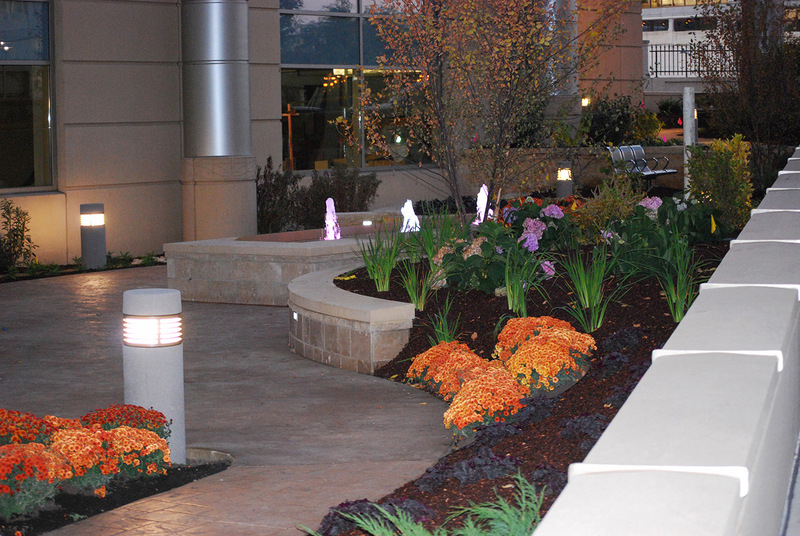 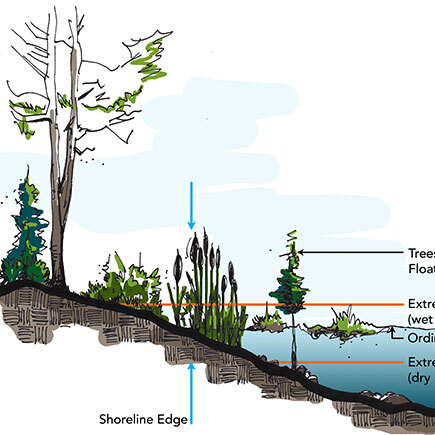 The project benefited greatly by a generous donor who gave over $400,000 to complete the project. 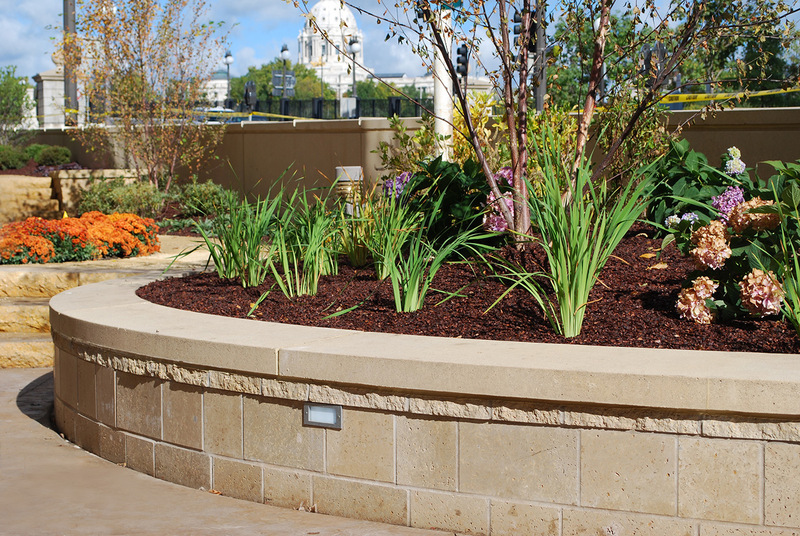 The design emphasizes views to the State Capitol Building while still creating comfortable spaces for grieving and healing. 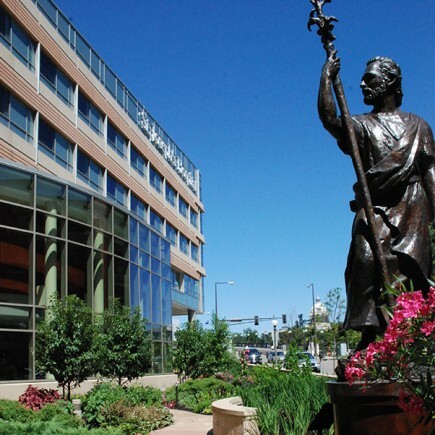 A large bronze statue of St. Joseph anchors the southern entrance to the garden and a lighted bubbling fountain provides soothing sounds to mask the sounds of the city. 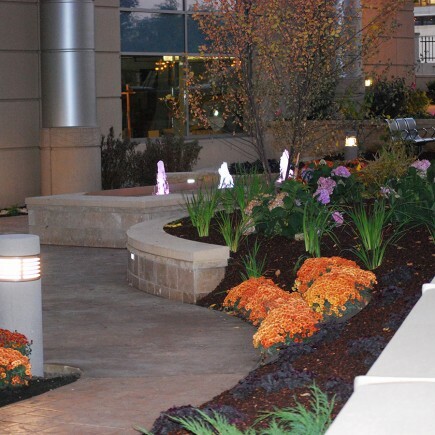 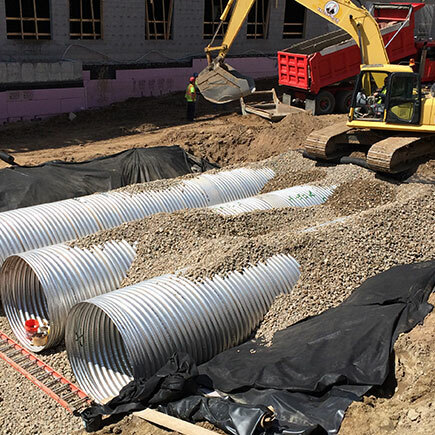 Loucks’ work at St. Joseph’s Hospital included multiple phases over four years and significant improvements to the entire campus.